Sheridan College has announced that it will be a smoke-free environment as of Oct. 17. This announcement includes all three of the Sheridan Campuses — Davis, HMC, and Trafalgar. 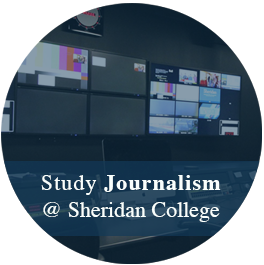 The college informed all students and staff via a mass email on Oct. 9 detailing what this means for Sheridan students/staff, what support systems are available and what the next steps are available for anyone who still needs clarification. This policy change is an update from the original smoke-free Sheridan policy signed just last year on Sept. 26. Tammy Datar, manager of the Health Centres at all three campuses explains why this policy change is important for the student body. The policy change will ban the use of tobacco and/or cannabis, vaping and use of e-cigarettes and smokeless tobacco (chewing tobacco). 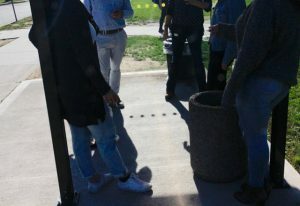 The designated smoking areas will be removed. Datar also addressed the alternatives that will be provided to students who would require assistance to quit smoking. “All students have access to something called Leave The Pack Behind and Leave The Pack Behind is a program that’s offered through Health Canada and Brock University,” she said. Leave The Pack Behind’s mission statement is to create an environment that supports all young adults to live a tobacco-free life. It currently has implemented its smoke-free policy at nearly 50 Canadian universities and colleges. Leave The Pack Behind also provides links and resources that will aid someone if they choose to quit. These links include a contest that offers cash incentives in return for quitting and a quitting smoking initiative funded by the Government of Ontario. 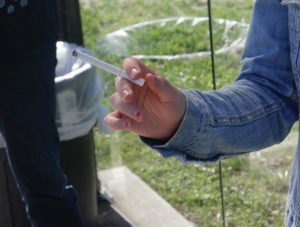 When considering the benefits of quitting smoking, Datar detailed what the benefits are when Sheridan goes 100 per cent smoke-free. The designated smoking areas will no longer be available to use after Oct. 17. Sheridan acknowledges that quitting smoking will not be an easy one. Leave the Pack Behind is offering eligible students the option to begin the process of quitting through nicotine-replacement-therapy (NRT). The provided NRT will include eight weeks of free nicotine patches or gum mailed directly to their door.